Unibet, which is fresh off a nice deal to bring sports betting to the newly-opened Hard Rock Casino in Atlantic City, has decided to team up with an advertising agency in New York to help it make further inroads into sports gambling in the United States. Sports’ gambling is expected to be pursued not only in New York, but also in other states across the country. Since the Supreme Court ruled in May that states could decide for themselves whether sports gambling would be legalized, several states have legalized gambling. Many experts have stated that as many as 20 states may legalize gambling by 2020. It is Unibet’s hope that they can take advantage of the growing sports gambling in the United States. Unibet has done all of their business online. They began as an online casino company, offering a variety of casino games in the European market. The company made a name for themselves with websites such as 32Red, Maria Casino, and iGame. 32Red has been one of the most popular websites to play roulette online in Europe. The company has gradually expanded its foothold in Western Europe. One of Unibet’s unique features is that it offers online bingo games, which have proven very popular. Unibet’s sportsbook has also been popular, especially with Premier League and other soccer league betting across Europe. Unibet was recently awarded a gambling permit for the newly opened Danish market. 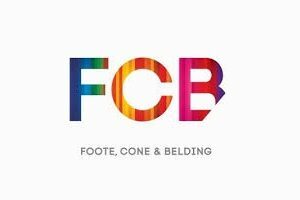 FCB, which stands for Foote, Cone, and Belding, is one of the oldest advertising agencies in the United States. The company is credited with reviving the orange juice industry in the late 1940s by telling people to “drink an orange.” The company has been on the Advertising Age’s A-List for the last 10 years. They are responsible for making commercial campaigns for well-known companies such as Taco Bell, Oreo, and KFC. FCB has won every major award in advertising, both in the United States and Europe. FCB has increasingly won praise for its advertising campaigns, including Project Literacy, and the Crohn’s and Colitis campaign. 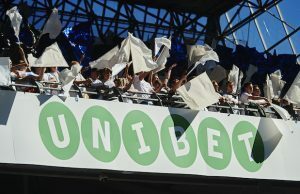 Unibet, which has only recently expanded into the US market, is hoping to continue to expand its brand in the areas of online gambling and sports books. They have set their sights on the New York market for starters. However, the company has a long way to go in order to bring gambling to the Empire State. The neighboring state, New Jersey, was the state that brought the lawsuit against the federal government about PASPA. PASPA, the Professional and Amateur Sports Protection Act, banned gambling in any state that did not already have it at the time of the law’s passage in 1992. At the time of passage, the federal government was concerned about recent scandals in both college and professional athletics. The federal government felt the only way to protect the integrity of the sports games was to ban sports gambling. With the increase in interest in gambling overall, and the rise of fantasy sports leagues, the landscape of sports gaming has changed. Nearly 40 states have allowed daily fantasy sports leagues in their jurisdictions. National networks have begun carrying sports gambling shows. Podcasts devoted to sports books and sports gambling have increased in viewership as well. It appears that many more states are poised to get sports books. New York, however, may not be one of those states. While neighboring New Jersey is all in for both sports books and online gambling, New York has not had the same drive. A gambling bill that would have legalized sports books was defeated at the last minute in the general assembly in 2018. It would seem that Unibet will have to mount an incredible campaign to bring gambling to New York.